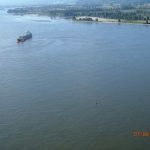 The 170 meter long, 33609 dwt tanker Argent Cosmos ran aground on the Columbia River near Skamokawa, Washington. 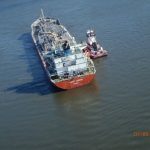 The Argent Cosmos was headed to China from Clatskanie, Oregon with a cargo of 1.6 million gallons of ethanol and 6.6 million gallons of monoethylene glycol when it suffered a mechanical malfunction. 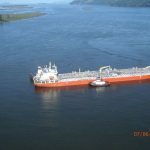 Two tugs were dispatched to assist refloating the tanker on the rising tide. 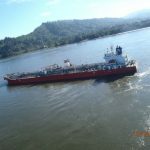 The Coast Guard dispatched a helicopter to conduct an over flight. No reports of injuries, damage or pollution released. 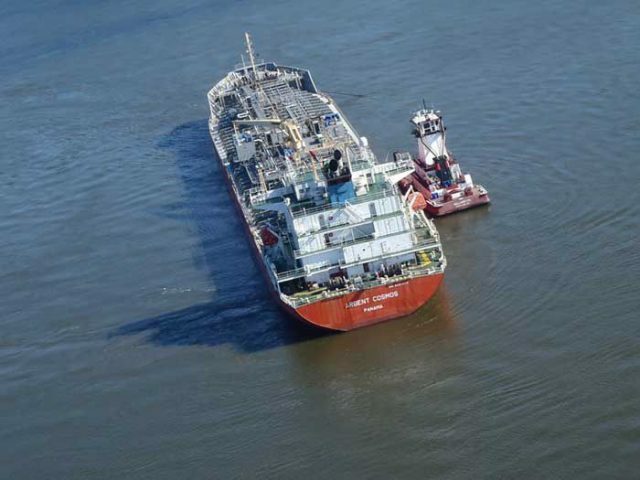 Reports state the Argent Cosmos was refloated and proceeded to Longview for inspection.